The Minister of Justice granted the permission for the prosecution of the ten university students under article 301 of the Penal Code (TCK). The students were nearly lynched in Eskişehir while protesting the prison operations of 2000 after seven years. They were taken into custody afterwards. With this decision, students Ali Haydar Güneş, Esma Yavuz, Sabit Çiçek, Şahin Kösedağı, Nadide Toker, Ali Bozkına, Can Aydemir Sezer, Atilla Aka, Esra Sönmez and Nihal Samsun will be tried for the statements such as “murderer state” and “December 19 veterans”. They will be facing two year prison sentences. Their first hearing will be at Eskişehir’s 2nd Criminal Court of First Instance on November 19. Temel Demirer, another person for whom Minister of Justice Mehmet Ali Şahin granted permission to be tried under article 301, will have his trial tomorrow (November 14). 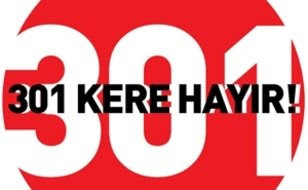 Ministry of Justice had given permission for the continuance of the trial of Temel Demirer under article 301 for saying that Hrant Dink was not only killed for being an Armenian, but recognizing the genocide as well. The court sent the case of Demirer who is on trial for “denigrating publicly the state of the Turkish Republic to the ministry on May 15.